This week we’re taking a departure from the usual weekly workout/drill so I can share with you some things I picked up at FILEX, blog post style. The problem with a lot of great courses and workshops out there is that they are created for working one on one with a client. As bootcamp trainers and group fitness instructors we don’t have the luxury of spending a lot of time with individual. We need stuff that is quick to teach and safe to do. Here are a few exercises I picked up from a glute lecture with Bret Contreras and the Introduction to Animal Flow workshop. Here’s an exercise that makes up for it’s foolish looks in effectiveness. The posterior chain is often woefully under trained in bootcamps so if your bootcamp is the only exercise your client does each week we need to sneak in some hip extension and pulling exercises. By putting the hips in abduction and external rotation the Frog Pump puts the glutes in a position they like to activate in. This exercise is great for bootcamps where we lack the time with each client to make sure they are activating their glute, this exercise puts them in a position where the glutes have to activate. That said, Bret did mention that there is a percentage of clients that won’t feel this exercise in their glutes because of the shape of their hips. So if someone’s not feeling it, experiment with some other hip/glute bridges. This was a fun one that I was reminded of in the Animal Flow workshop. My PT had prescribed these to me last year to help me get more mobility on my squat. Now I bet you can think of one or two (or ten!) of your campers who could do with better squat mobility. The Lateral Travelling Ape makes for a great warm up exercise or as a travelling exercise (like bear crawls, walking lunges, etc). Another set of exercises that might seem obvious but we’re quick to forget is the old strap a band around your knees and start walking. You’ll need some therabands or similar for these. They make for an excellent travelling exercise (imagine using them as a timekeeper for your next circuit), as part of a game or as an active rest exercise. 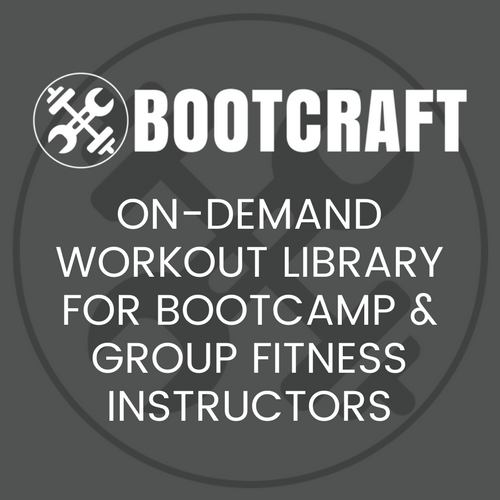 I hope that this helps get some ideas going for you and also gives you some simple ways you can greatly improve your campers movement and strength on other bootcamp exercises. For me it was a great refresher of some really cool exercises. Also, that’s not all I have from my weekend at FILEX, I’ll be back next week with some fun battling rope drills and the week after that with some simply great ideas for including more play in your workouts so make sure you’re on our email list if you’re not already. You can sign up free here.